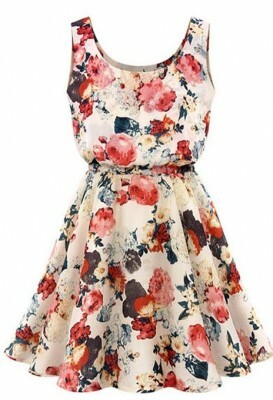 As every summer floral dress is back in trend. That is strongly colored or neutral tones maxi or mini that is, dress with floral print is among the hottest trends in summer. 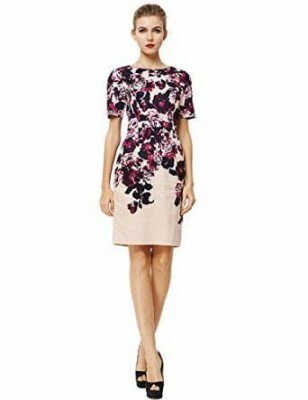 For active women who are not shy to be appealing even to the office, a dress with floral print, medium length is ideal. 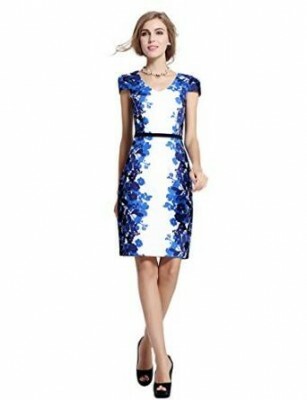 Whether you opt for a flared dress in 60s style or, on the contrary, opt for a dress molded to emphasize your shape, you can complete the outfit with a jacket and a discreet belt waist that you highlight this area. Accessories must also maintain the register office, so choose to wear a pair of shoes with medium heel and a classic bag in neutral shades. Be brave ant try a combination also with a blazer. You manage to obtain a stylish and interesting look. 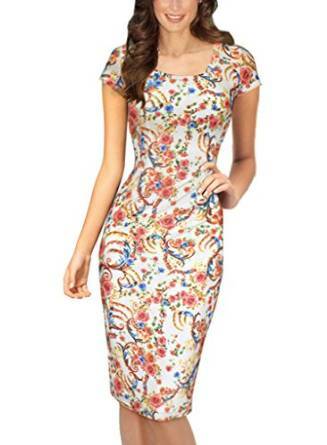 A floral print dress may constitute part of an outfit based off by summer. 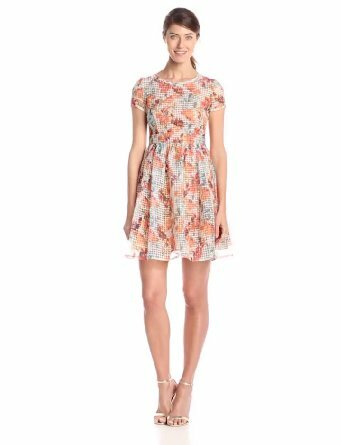 Whether you prefer short dresses or long ones, opt for loose materials, natural and delicate prints. For a cool air, choose to complete your outfit with a belt delicate, vivid tones, to emphasize your waist. 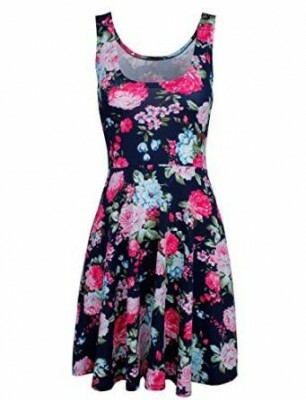 Remember that the floral dress is very feminine and delicate so wear it with the right attitude. – If you have a pear figure type with wide hips, you need a well-marked waist dress, but that is not molded on the hips. 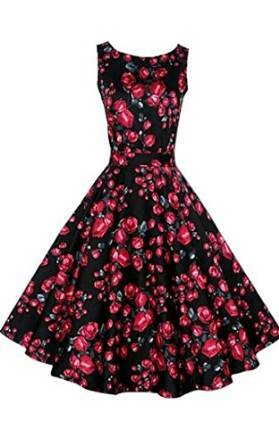 Ideal 50s style dresses. 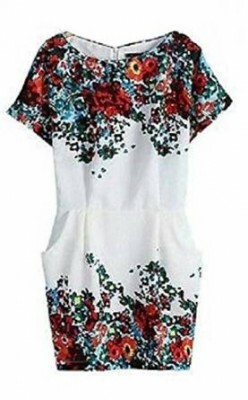 It would be good to find a model with print at the top and one color from the waist down. – If you are petite and have no extra kilos, molded mini dresses are ideal for you. But careful not to fall into the vulgar. The print should be quite small. Avoid large flower prints. 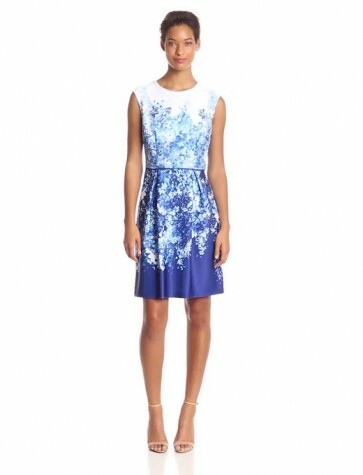 – If you are tall and thin can wear just about anything, but preferably medium-sized prints and bright colors. 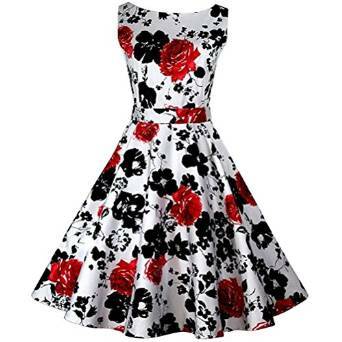 – If you type apple silhouette with skinny legs and extra pounds on your belly, baby doll dresses are ideal with small floral print. But these are women who have thick thighs prohibited.